Hello and welcome to The Challah Blog. I'm so glad you're here. I call myself The Mrs. on this blog, but my name is really Amanda. I'm a musicology Ph.D. student, a clarinetist, and a challah baker. I'm married The Hazz, who is cantor and occasionally shows up here with a recipe of his own! 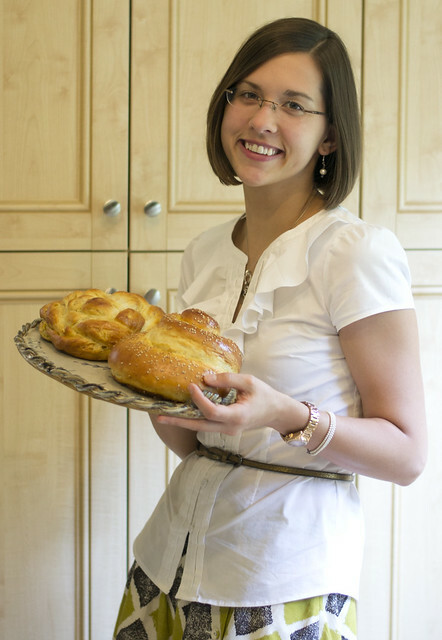 I began baking challah in late 2010 and started this blog in January of 2011. This blog is all about our adventures in making challah our own, trying out crazy flavors, and truly beautifying this wonderful mitzvah. 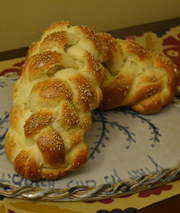 Challah (חלה) is a special braided bread eaten by Jews on Shabbat and holidays. Challah traditionally contains white flour, a number of eggs (with the yolks), sugar or honey to sweeten it a little, plus water, yeast, and a dash of salt. Many people do not consider challah complete without an egg wash which gives it a shiny glaze. Challah is usually braided (any number of strands possible), although at certain times of the year it may be made into a round shape. 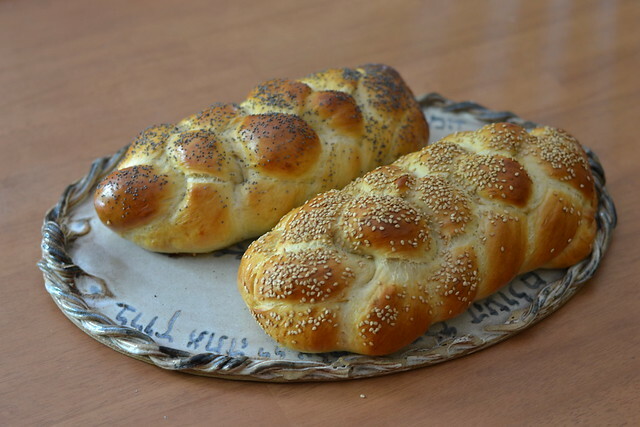 Challah is most often pareve, which means it contains neither meat nor dairy and can be served alongside either (according to the laws of Kashrut--kosher--Jews do not mix milk and meat in the same meal). Many of the challot (plural) you'll find here are pareve, but since The Hazz is vegetarian, we have dairy meals on Shabbat sometimes. So, you'll also find some AMAZING dairy or milchig challah recipes. 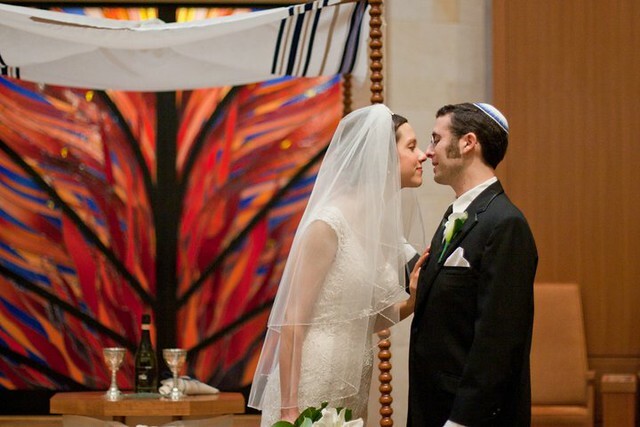 The Hazz and The Mrs. were married on Rosh Chodesh Tammuz 5770 -- June 13, 2010. Before they were married, The Mrs. had never made a challah in her life... and considered it a matter of personal pride. After a few months of marriage, she tried her hand at rolls and realized making challah is really fun. You can find our basic honey challah base recipe here, but we usually just make a 1/2 batch (find that recipe here). The Hazz kneads and prepares everything by hand; the Mrs. uses a KitchenAid stand mixer because she's not as strong. All challot are baked with lots of love. Now a little note about copyright. Did you know that mere listing of ingredients is not protected under copyright law? A list is not, and here's the link the U.S. Copyright Office to prove it. However, I work hard on my recipes, and all of the directions and text that I write... please link back or list The Challah Blog if you post my recipe or print my recipe. Thanks!! !